Making crass generalizations, galaxies are really just star forming machines that come in a variety of shapes and sizes. They form in dark matter halos, and grow over time as they accrete gas and merge with other galaxies. Left to their own devices, they would slowly turn this gas into stars, operating in a creative balance between the outflow of gas from galaxies, through supernova driven winds, for example, and the ongoing inflow of gas from the galaxy’s surroundings. Eventually, galaxies will convert nearly all of their gas into stars, and “die” out. However, galaxies often do not evolve in isolation. This is the case for galaxies in groups and clusters of galaxies, and the effects of those environments prove detrimental to our star forming machines. 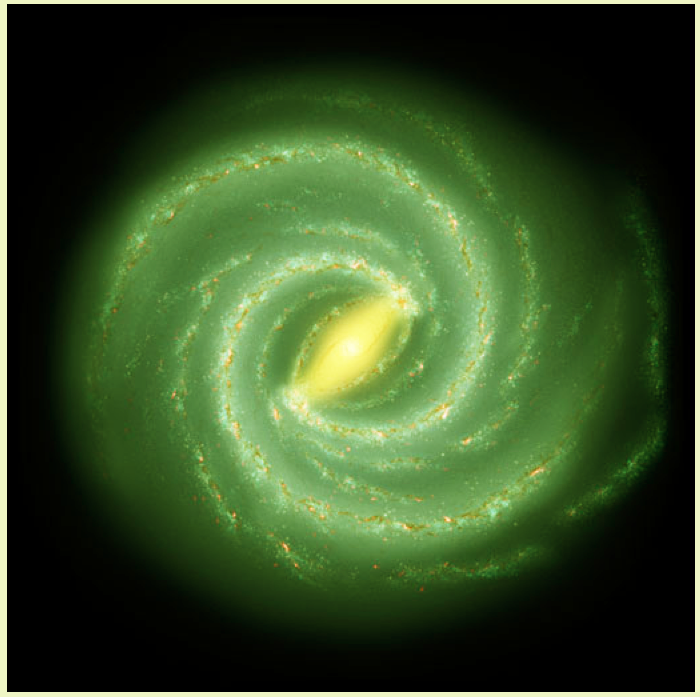 In this simple picture, cold gas contained within the disks of galaxies acts directly as star formation fuel. However, galaxies are also surrounded by hot, gaseous coronae (think millions of degrees), that act as reservoirs for gas that may eventually cool, fall into the galaxy, and form stars. Removing the cold gas will immediately stop star formation, while removing the hot coronae will quietly shut off star formation, cutting off the supply of more gas. Rather dramatically, this removal of hot gas and delayed shut off is referred to as “strangulation“. In galaxy groups and clusters, both cold and hot gas can be violently removed from galaxies as they travel through the hot gas interspersed throughout the group/cluster (called the intracluster medium, or ICM). This violent removal of gas is known as ram pressure stripping (RPS), which again, can lead to strangulation. However, some galaxies survive this process, or are only partially affected. The authors of today’s astrobite focus on the strangulation process, and how the hot corona of galaxies are removed, and how they may even survive as galaxies move through clusters. 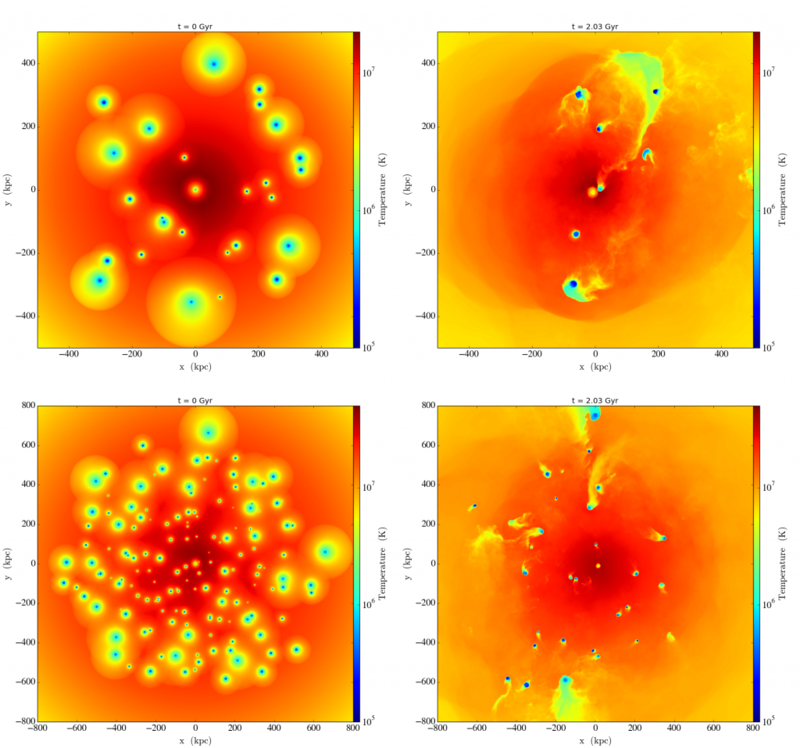 The authors construct two hydrodynamical simulations, one each for a galaxy group and galaxy cluster containing 26 and 152 galaxies respectively. Each galaxy in their simulation has a mass greater than 109 solar masses, and the group/cluster has a total mass of 3.2×1013 / 1.2×1014 solar masses. They make some idealizations in order to more cleanly isolate the effects of the group/cluster environment on their galaxies. Their galaxies all exist in spherical dark matter halos, with the dark matter implemented using live particles. The authors only include the hot gaseous halos, also spherical, for their galaxies, and leave out the cold gas, as their focus is the strangulation process. Figure 1 shows temperature projections of the initial conditions, and the group/cluster after 2.0 Gyr of evolution. The blue circles are galaxies, surrounded by warmer gaseous halos; the images are centered on the centers of the even hotter gas contained within the galaxy group/cluster. As shown, there is significant hot corona gas loss over time from the galaxies, yet some are still able to hold onto their gas. 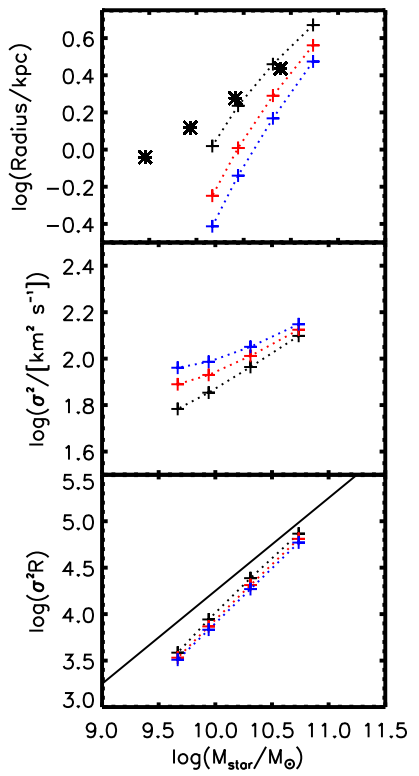 This is shown even more quantitatively in Figure 2, giving the averaged mass profiles of galaxies (current mass over initial mass as a function of radius) in the group (left) and the cluster (right) over time. Their results show that about 90% of the gas bound to galaxies is removed after 2.4 Gyr, and that the process is generally slower in groups than clusters. Aside from studying the stripping and gas loss processes in detail, the authors seek to make observational predictions for what (if any) of the hot gas can be observed in galaxies in groups and clusters. To do this, the authors take their simulations and make synthetic X-ray observations of their group and cluster galaxies. Figure 3 gives an example of one of these maps for the galaxy group at about 1 Gyr. Shown is the temperature projection on left (similar to Figure 1), next to a 40 ks and 400 ks exposure mock X-ray observation. The authors find that the tails of hot gas coming off of stripped galaxies, and the remaining hot gas bound to the galaxies, can be observed for 1 – 2 Gyr after they first start being stripped using a 40 kilosecond (ks) exposure with the Chandra X-ray telescope. This is a fairly long exposure, however, and the authors suggest that the hot gas can be detected by making multiple, shorter observations of many galaxies in clusters and stacking the resulting images together. As suggested by the rate of gas stripping between galaxy groups and clusters, they suggest a successful detection is more likely in galaxy groups, where stripping is a slower process. This work dives into how a galaxy’s environment affects its evolution. Galaxies’ movement through galaxy groups and galaxy clusters throws a cog into these star forming machines. This work presents some exciting suggestions that, by combining current and upcoming X-ray observations, we may be able to directly detect this strangulation in action.